3.3 out of 5 based on 6 bloggers and 1 commenters. 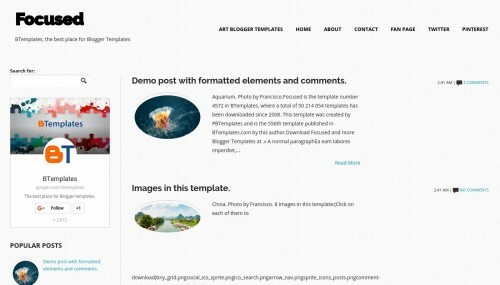 Focused is a free blogger template adapted from WordPress with 2 columns, responsive design, seo friendly, left sidebar, social bookmarking icons, posts thumbnails, a background pattern, simple look and geometric motifs. Excellent template for blogs about art, crafts, to write a diary, education, photography or science. I have one question, how to modify the links of the social media on the left side. I cannot find a place to modify it. Email, facebook twitter and so on.